Lecture Series Continues! Jim Clark’s “Hollywood Movies and Trains” SOLD OUT! ** Sorry! This lecture has sold out. We are all filled up! We are pleased to continue the 2019 Lecture Series with the Comstock Foundation for History and Culture! He’s back with more movies and insights! Jim Clark is a veteran of over 250 major movies over the many decades. As an engineer, train coordinator and actor, he’s been killed in movies more times than he can count. Jim will give another lecture of trains in the movies that he’s worked on. He’ll explain the technical aspects and the challenges of working with Hollywood studios. 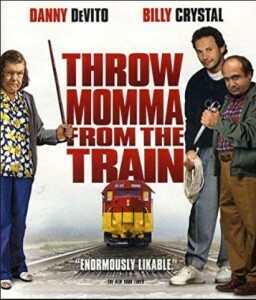 His association with some of the biggest train films and stars in Hollywood include: “Throw Momma from the Train”, “Wild Wild West”, “The X Files”, “Switchback” and “Lethal Weapon 4” to mention a few. Coupled with Q&A plus film clips of action sequences will leave you amazed. 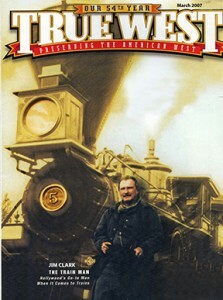 Bio: Jim Clark has over thirty-five years of railroad motion picture experience, professionalism, knowledge, script breakdown and development, budget preparation, scout locations, equipment acquisition, transportation, props, set dressing, track construction, liaison with railroad personnel, compliance with Federal regulations, implement and execute a railroad specific safety program. Provide operating crews, coordinate schedules, obtain track and railroad equipment, assist with special effects and stunt requirements, implement safety programs and more.